Goodness, is it pomada o’clock already? A phrase that you might hear if you are in one of the Balearic Islands on a warm afternoon. 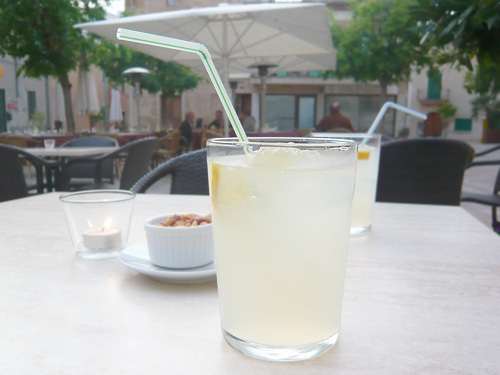 Pomada is the perfect drink for warm weather – ice-cold local gin from Menorca, mixed with cloudy lemonade. Very simple and quite delicious, as well as being dangerously more-ish (the full effect not really felt until you are four in, so to be consumed in moderaton). Now, I hear you ask, what is this Menorcan gin of which you speak? Surely gin is something from the north of Europe, and more specifically, Britain? Well, it becomes a little clearer when you look at the history of Mallorca’s eastern neighbour. Back in the 18th Century (following the War of Spanish Succession and the signing of the Treaty of Utrecht, to be exact if you’re a bit of a history geek), Britain was “given” the island of Menorca. Part of the navy was promptly moved there. Nice posting for the sailors, but they had a bit of a weakness for gin, and that wasn’t something that was very easy to come by. How to cure that? The locals started making their version of the stuff, infused with the local herbs on the island. When the Brits finally left, the tradition had firmly taken root, and they’ve been making the stuff ever since. 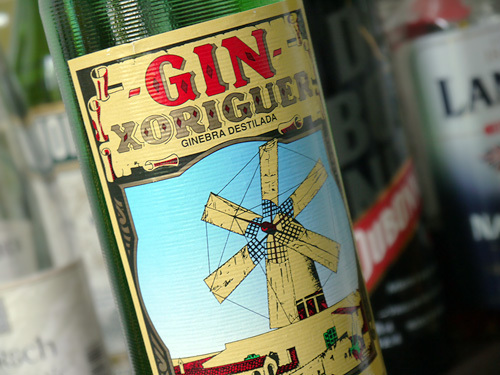 The leading brand today is Xoriguer (sho-ri-gair), which comes in a pleasingly retro bottle. So when they sun is shining, sit back, relax, get out the glasses and ice and mix up a glass. Or four. Fill a highball glass with ice. 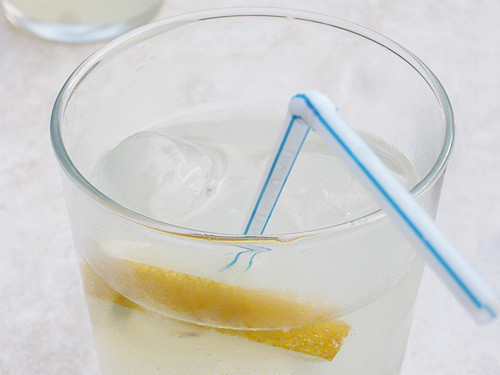 Add the gin, lemonade and lemon slice. Stir well. Relax, enjoy and repeat as needed. Worth making? Tens of thousands of Menorcans can’t be wrong, and this is a great drink for a hot, lazy summer day in the park. If you’re feeling fancy, go a little more upmarket with pink lemonade which seems to be appearing all over the place in London at the moment.